PARIS — President Emmanuel Macron of France has vowed that Notre Dame cathedral will be rebuilt, as prosecutors begin investigating what caused a fire that badly damaged the 850-year-old symbol of Paris and caused its thin spire to collapse in smoke and flames. Macron said an international effort to raise funds for reconstruction would begin Tuesday. 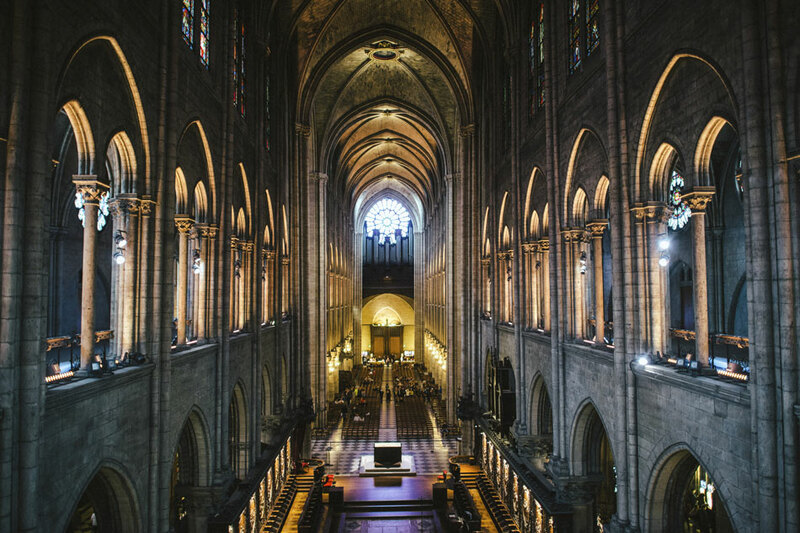 Notre Dame, which was built in the 12th and 13th centuries on the foundations of an earlier church and Roman ramparts on an island in the Seine, is a globally recognized symbol of France, visited by about 13 million people a year. But the roof, a vast wooden framework covered with sheets of lead, appeared to be largely gone, he said. Earlier tests on the roof showed that the wooden frame was for the most part the same oak and chestnut structure constructed by the very first builders, Fonquernie said. Officials said they did not yet know what had caused the fire, which is now under investigation. One firefighter was seriously injured, but no one was killed, officials said.